the gui girl » Yeah, That Just Happened. “Yeah. 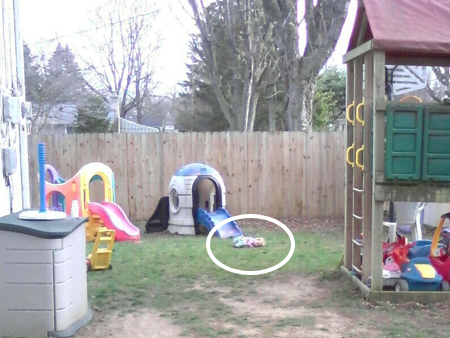 Over there.” Bobbi motions to a patch of grass near the playhouse. 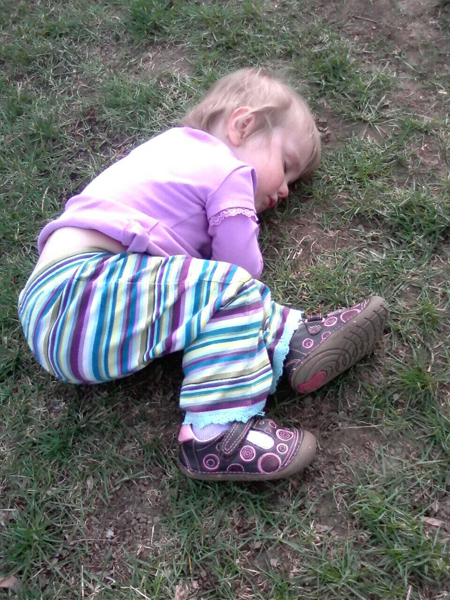 Sure enough, curled up on the ground was a very asleep Reese. You must understand something: In the 19 months that we’ve gotten to know Reese, this has never happened before. 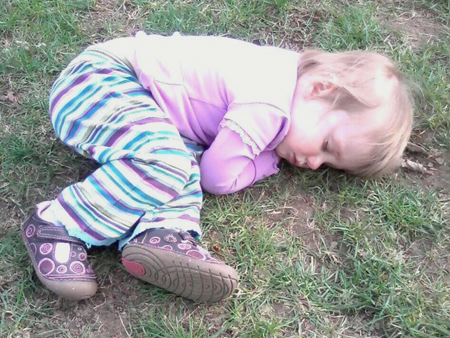 She has never just “fallen asleep” while doing anything. She will stay awake for everything if she could. The only places we have ever known her to fall asleep have been her crib, her pack ‘n play, and the car seat. But falling asleep while playing outside? 02 Apr This entry was written by denise, posted on April 2, 2009 at 9:16 pm, filed under POTD, baby!. Bookmark the permalink. Follow any comments here with the RSS feed for this post. Post a comment or leave a trackback: Trackback URL.